"In 30 years' time the Australian winter as we know it will be non-existent. It ceases to be everywhere apart from a few places in Tasmania." But that's the prediction of the ANU's Dr Geoff Hinchliffe. 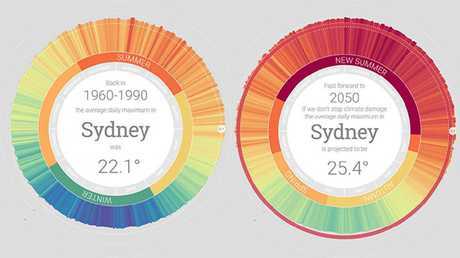 The Canberra-based university has put together a tool which pulls together broad sources of data about the impact of climate change on Australia, run it through climate simulators - and boiled it all down into simplified consequences. It reveals what ANU researchers describe as the death of winter. It will be choked out by what they call 'New Summer'. 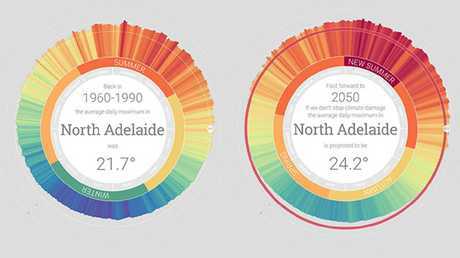 "We looked at the historical average temperatures of each season and compared them to the projected data and what we find everywhere is that there's really no period of a sustained or lasting winter," Dr Hinchliffe says. Instead, we're in for a new season - "New Summer" - where temperatures will constantly settle above 40C for extended periods. Exactly what remains of winter in 2050 has been projected on a map of Australia. 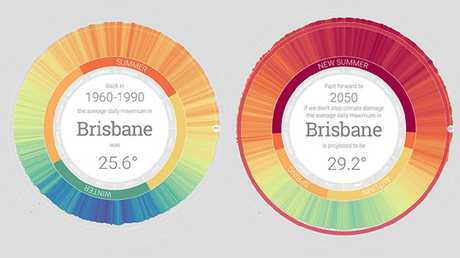 You can discover how much hotter your address will be - day by day - here, at MyClimate2050. 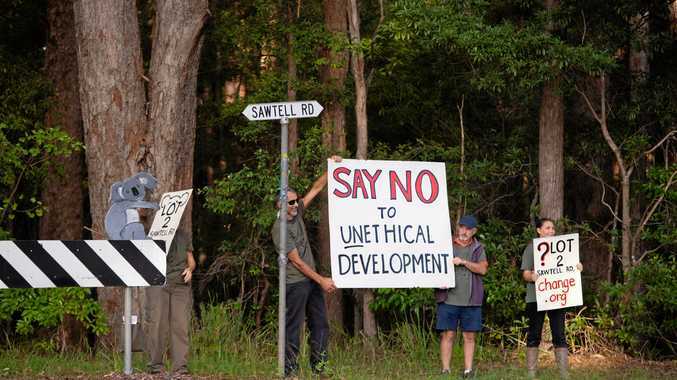 It is the product of a joint effort between the ANU's School of Art & Design with its Climate Change Institute. The visualisation takes into account the individual weather characteristics of each location. Data from the Bureau of Meteorology (BoM) and Scientific Information for Land Owners (SILO) has been collated to plot how much temperatures will change across the country. 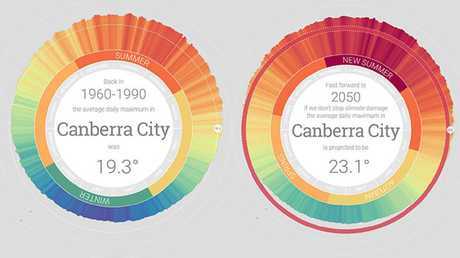 It translates this to how many extra days above 30C or 40C these locations will experience by 2050. "As well as the data, we also focused on developing the most effective visual forms for conveying how climate change is going to affect specific locations," Dr Hinchliffe says. "That meant using colour, shape and size around a dial composition showing a whole year's worth of temperature values in a single snapshot." 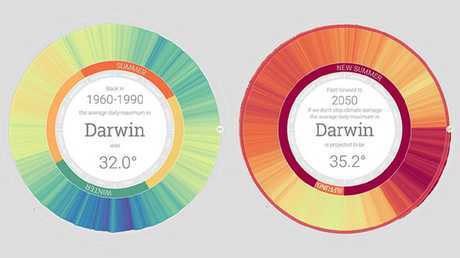 The tool was produced for the Australian Conservation Foundation as a way to communicate the impact of climate change in a way people can easily comprehend. 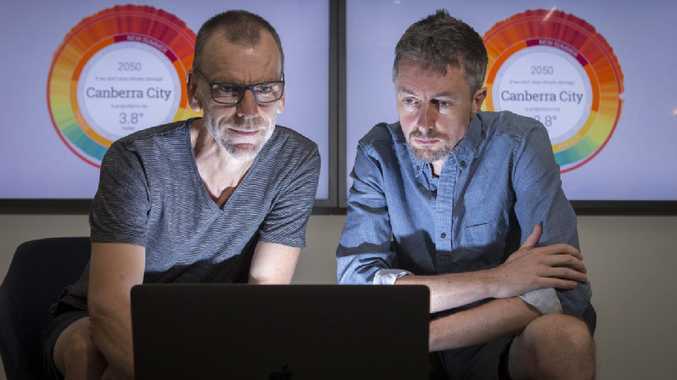 "That meant using colour, shape, and size around a dial composition showing a whole year's worth of temperature values in a single snapshot," Dr Hinchliffe says. "It makes it visually rich and interesting and gives a lot of detail in a way that connects emotionally with people by locating it in their own town." It's an approach being adopted around the world.